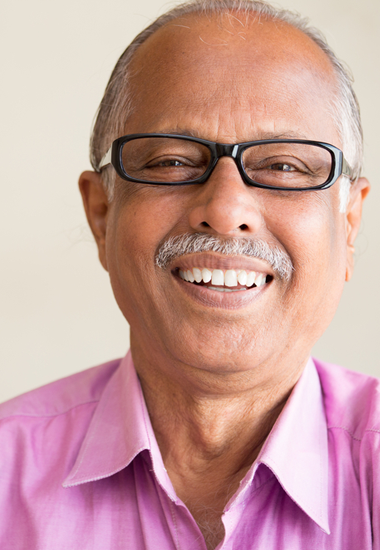 When it comes to managing diabetes, there are a few therapy options available for treatment. This is particularly useful for people with Type 2 diabetes, in which case you might be prescribed a diet and exercise regime. To help you further manage your glucose levels, you might also receive nutrition counselling from a diabetes educator or dietician. 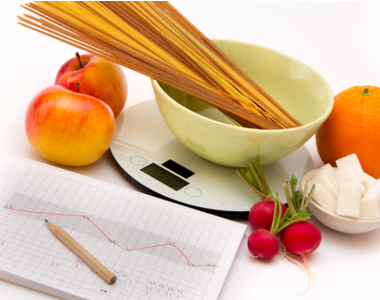 Learn more about diet, exercise and drinking alcohol with diabetes. If diet and exercise alone are not sufficient for managing the diabetes, oral medications may be prescribed by your healthcare professional. Learn more about oral therapy. If your diabetes has continued to progress, you may need to administer insulin to help regulate glucose levels. There are several types of insulin injection therapies - with conventional therapy typically consisting of only background insulin or a mix of long and intermediate insulins. Multiple daily injections involves a long acting insulin injection followed by rapid acting insulin injections at meal times. 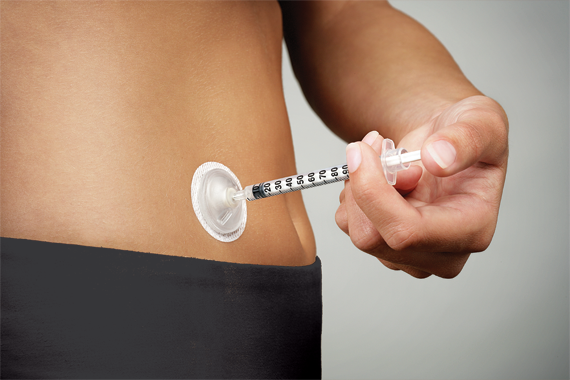 Learn how i-Port Advance can help you inject less. This therapy mimics the functions of a normal pancreas more closely and replaces the need for frequent injections by delivering precise doses of rapid-acting insulin. 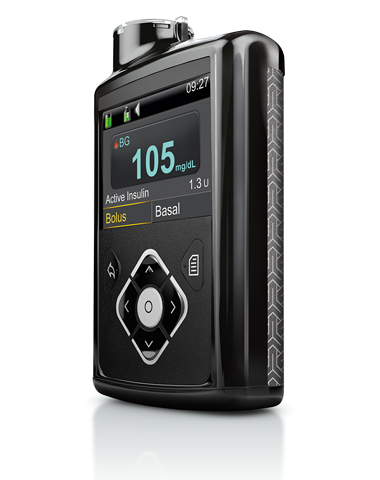 Learn more about Insulin Pump Therapy. There are three main components to Sensor Augmented Therapy: a “smart” Insulin Pump, a Continuous Glucose Monitoring (CGM) system and therapy management software. Using Sensor Augmented Therapy can alert you to dangerous high or low glucose levels, allowing you to take action and potentially prevent complications. Learn more about your treatment options , managing your blood glucose levels and treatment options specific to Type 2 diabetes. 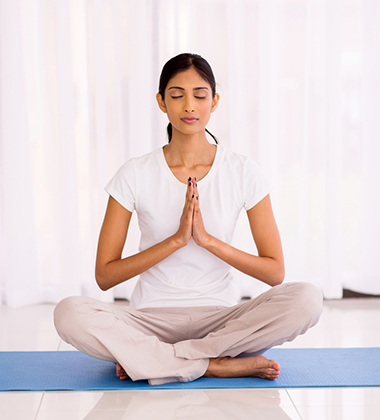 Poor diabetes management can lead to complications affecting your health in the short and long term. Correct management and regular check-ups with healthcare professionals are important. 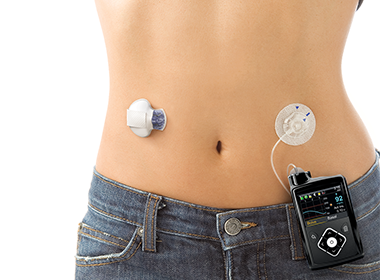 Discover how real people have avoided long term complications, using the MiniMed 640G system. IS IPT RIGHT FOR T1 DIABETES? IS IPT RIGHT FOR T2 DIABETES? Kumareswaran, K., Evans, M. and Hovorka, R. (2012). Closed-loop Insulin Delivery: Towards Improved Diabetes Care. Discovery Medicine, 13(69), pp.159-170. J. C. Pickup and A. J. Sutton Severe hypoglycaemia and glycemic control in Insulin Dependant Diabetes: meta-analysis of multiple daily insulin injections compared with continuous subcutaneous insulin infusion Diabetic Medicine 2008 :25, 765–774. Assumes four injections per day for 30 days and one infusion set change every three days. Insulin pump therapy uses only rapidacting insulin, which is absorbed more predictably and precisely than multiple daily injections. See: Lauritzen T, et al. Pharmacokinetics of continuous subcutaneous insulin infusion. Diabetologia. 1983;24(5):326-329. The MiniMed®640G measures approximately 5.3 (width) x 9.6 (length) x 2.5 (depth) cm. It weighs 95.7 grams, not including the battery.